Vere E. CREES, son of Clyde and Lulu (WARD) CREES, was born on a farm near Grand River, Iowa, on March 6, 1909, and died at the Lucas County Heath Center, Chariton, Iowa, March 13, 1990, age 81. Vere was married to Vesta Jane MENDENHALL March 8, 1941. To this union one daughter, Polly Ann was born. 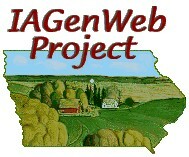 Vere farmed in the Cambria and Garden Grove, Iowa areas. He also raised turkeys for many years on their farm south of Garden Grove. They retired to Garden Grove in 1968, where he enjoyed gardening. He was preceded in death by his parents and brothers: Gene, Daniel, and Vendal CREES. Surviving are his widow Vesta CREES, Garden Grove, Iowa; daughter Polly Ann DAVIDSON and husband Fred, West Palm Beach, FL; granddaughter Dee Dee DAVIDSON, Fairfax, VA; brothers Hoyle CREES and wife Elizabeth, Weldon, Iowa, and Joe CREES and wife Helen, Santa Anna, CA; sisters-in-law Doris CREES and Elaine CREES, both of Des Moines, Iowa; nieces, nephews, other relatives and friends.